Holiday Activities in Indonesia, Follow your Passion! There are a lot of things that you can see and do in Indonesia, among of them are; watching directly or interacting with the friendly local people will become an unforgettable experience. You can sit on the bus or car that is offered by the trip agent or you can ride a bicycle and go around to take a look various other side of a life and the charm of every place you have visited. 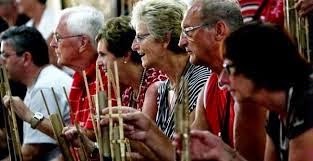 Please watch also the traditional Batik cloth’s making, a years ago customs that completed by various celebrations by visiting the traditional villages in some regions of Indonesia. As an archipelago, Indonesia has a lot of awesome beach collections, the rushing rivers, and pure lakes. It offers a perfect place to do many water sports. With the clear water and the bright sunlight, Indonesia becomes an ideal destination to enjoy fun activities on the waters. It is an experience that difficult for you to find on the other side of the world. The beauty of the amazing underwater makes Indonesia is well-known in a having world class diving spot. You can get closer to a group of Mantaray or Turtles, dive on the spectacular water views and explore a sank-old ship. The Indonesian tropical waters won’t disappoint you. The surfers from many parts of the world come flocking into the Indonesia for tasting the challenging waves and spectacular beaches, which offered by the beautiful islands in Indonesia. Some of the best surfing places in Indonesia actually have an astonishing wave in the world. The culinary richness of Indonesia has been so famous in the world. There are more than a million tastes in this country. Many regions have their own flavors of the various kinds of typical foods. Some of them are very legendary, such as fried rice, curry, fish soup (Pindang), Satay, Soup that also called as Soto, Meatballs and many more. The most important thing is rice is the main course of Indonesian foods completed with a variety of side dishes. Nevertheless, the luxurious hotels and restaurants also offer the international class of meal, start from the western food till the local one. Spa is the right choice to release your exhaustion from various problems, routines and the complexity of the modern life. Many kinds of professional spa places are available with a various background, such as the composure in the style of a rural, nature or a clean beach. You’ll feel the luxury and relaxation that it is used to can be enjoyed by the royal people. Various offered-programs that are massage, facial and body scrub and spa guaranteed to make your body be more comfortable. Free yourself from the world’s bustle and take a chance to be professionally pampered by the best spa in the world. You actually won’t be disappointed. Do you like travelling? We challenge you to try to resist the temptation when you look at the unique traditional goods, ranging from Batik cloth until the shining silver crafts, and Indonesian pearls. We’re sure, that you can’t resist their temptations. More over if you come to shop in the traditional market that offers an antique handicraft’s collection. The exception if you have passion of shopping. You should visit some metropolitan cities, like Jakarta and Bandung. Even a lot of malls in the Jakarta can be compared with the one in Europe and USA with the impressive collections. Various classy collections of the high-class designers’ works until the mediocre one in the traditional market are also available. Indonesia has many old buildings that become the world wonders. Start from a temple until the ancient palace’s ruins. The fame of the Borobudur temple and the great Prambanan temple are only the small part of those wonders. You also can see the pre-historical remains and the traditions which are still defended. A million tourists from all over the world have come to Indonesia, attracted by the unique Indonesian culture and diverse heritage cultures from the ancestors of this country. The exploration can also be done by visiting one of the museums in Indonesia. Do you like a wild and challenging adventure? Please come to Indonesia and satisfy your adventure desire by making a trip to some of the wildlife in Indonesia! Try to do tracking and watching the Orangutan plays in the wild forest or you can also climb to the top of a volcano. An experience in the wild life or in the remote area (eco-tour) is actually more impressive than exploit this adorable tourism place. We challenge you to adventure in Indonesia.